Home > Spotlights > Homeland Security > Maoists as political prisoners? Two recent judicial pronouncements form West Bengal Courts have very dangerous implications for the country’s security and integrity. The first one was by the High Court and second was by a Sessions court. In a sense, the High Court decision influenced the decision of the later. On September 21, the Sessions court decreed that several jailed Maoists should be entitled to privileges of a separate cell, home-cooked food, access to newspapers, books and other reading material, meeting with relatives and advocates and greater freedom inside jail compared to other prisoners. It declared nine suspected Maoists arrested by the National Investigation Agency (NIA) in connection with the CPI (Maoist) arms manufacturing case as “political prisoners”. Similarly, in another case, the Kolkata High Court on August 8 had declared seven suspected Naxalites, including CPI-Maoist backed leader Chhatradhar Mahato and Maoist spokesperson for Bengal and Gaur Chakraborty as “political prisoners”. …the court decisions have been welcomed by not only by the Maoist sympathisers who occupy important positions in the country’s intelligentsia in general and elite universities in particular but also by all those who claim to be Communists and Left-sympathisers. 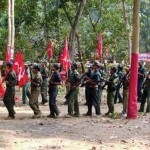 Maoists as political prisoners? Well that may sound odd given the fact that the central government and the state governments in Odisha, Chhattisgarh, and Jharkhand have banned various Maoist outfits. But then the fact remains that in West Bengal, when the CPI (M) was in power, the state government enunciated what was called the Correctional Services Act, 1992. This Act says that those arrested or convicted on a charge of having committed or attempting to commit aiding or abetting the commissions of any political offence are political prisoners and their status will remain the same even if they are under the Indian Penal Code. The Act further adds that anyone who commits or allegedly commits an offence during a political or democratic movement with an exclusive political objective is entitled to political prisoner status as long as he or she is free from personal greed or motive. Moreover, the Act enables the accused to enjoy the political status even if he or she is accused of waging war against the nation. Predictably, the court decisions have been welcomed by not only by the Maoist sympathisers who occupy important positions in the country’s intelligentsia in general and elite universities in particular but also by all those who claim to be Communists and Left-sympathisers. The CPI leader D Raja was prominent in TV channels lauding the judgment. After all, his party was an important constituent of the Left Front government (that made the Act) led by Jyoti Basu, who, incidentally, as revealed to me recently a by top Police official of the country, had instructed the West Bengal Police not to take any actions to stop the illegal immigrants from Bangladesh by saying that “proletariats of India and Bangladesh are the same”! Be that as it may, the fact remains that Communists of all hue do believe in the importance of violence as an instrument of political power. Political violence, as such, is not a bad thing for them. What sets the Maoists different from others such as CPI and CPI (M) is that unlike the former, the latter do not practice violence themselves (at least that is what they say, although some of their cadres, as is well known, were once notorious in West Bengal for their reign of terror) and believe and practice in the system of parliamentary democracy in the country. Viewed thus, the West Bengal Act of 1992 was perhaps made to help the CPM and CPI sympathisers and activists to express anger and demonstrate against the “bourgeois” central government’s various acts of commission and omission. If imprisoned in the process, these sympathisers and activists were treated like “political prisoners” in West Bengal jails. …one is aghast at the prospect of the Maoists getting the status of political prisoners in a system, whose destruction, they are fighting for, ironically. If we go by norms and practices in the civilized and democratic world as a whole, and India is not exception, ill-treating political prisoners is a detestable thing because the definition of political prisoner acceptable to all democracies is something like this – ” a person who is imprisoned because of his or her political beliefs, or for attempting to use lawful means (or what would be lawful in a free society – debate, discourse, peaceful agitation) to advance those beliefs”. Though according to Amnesty International, the term ‘political prisoner’ includes any prisoner whose case has a significant political element: whether the motivation of the prisoner’s acts, the acts in themselves, or the motivation of the authorities, it never calls for their special privilege and unconditional release. Amnesty International only demands their fair and prompt trial. On occasions, the government arrests agitating people or activists for defying prohibitory orders on assemblies and communication. But these are temporary measures and persons arrested for defying them may also be provided political status, something that I once had ‘enjoyed” as a student leader in Delhi’s Tihar jail (incidentally, the government had later withdrawn the case against me and my fellow students, many of whom are occupying top positions today in various fields of the government and society). However, one is aghast at the prospect of the Maoists getting the status of political prisoners in a system, whose destruction, they are fighting for, ironically. 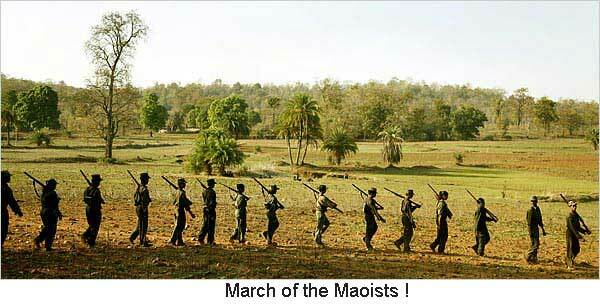 Maoists are terrorists of highest order. Surely, they have political objectives? But do these objectives fall under the purview of our democratic political system? If Charu Majumdar, whom the Indian Maoists swear by, is to be believed, they are committed to the violent overthrow of the Indian state through an “armed peasant led revolution” (now they have even infiltrated the workers movement in cities, evident from the mass violence and murders in the Maruti-Suzuki factory in Gurgaon). They do not believe even in the unity and integrity of the country, supporting all the so-called freedom movements, be it in Kashmir or in Manipur or in Nagaland or in Assam. The Maoists oppose the parliamentary form of government by regularly calling for poll-boycotts, coercing candidates to withdraw from the electoral processes and killing those who disobey. Even otherwise, they annihilate all those who oppose them and their methods. According to an estimate, over the last eight years, they have killed 5,291 civilians (majority of whom were poor peasants and tribals on whose behalf they claim to work for) and security forces – averaging 755 deaths per year and 63 deaths per month! They destroy schools, roads and hospitals. They are thick into the business of extortion and smuggling of contrabands. They have developed dangerous nexus with foreign terror outfits like the LTTE and Lashkar-e-Taiba. In fact, their method of coercing the elected representatives to resign has now been picked up by their friends Pakistan-based outfits who are compelling the elected “Sarpanchas” in Kashmir to cease functioning. Now, if these very Maoists are granted political status in West Bengal, what prevents their fellow commardes from demanding the same in other states such as Odisha, Jharkhand and Chhattisgarh that are fighting their menace? Secondly, if the Maoists are the political prisoners, then every notorious terrorist outfit will demand the similar status. After all, Hezbollah, al Qaeda, IRA, LTTE or the Lashkar –e-Taiba have also well defined political ideologies. On that basis, Kasab, who has been delivered a death sentence for his role in Mumbai massacre (26/11), should have been accorded political status! Last but not the least, the dangerous court verdicts from West Bengal demoralise our security forces, who, day in and day out, are undergoing tremendous hardships and making sacrifices in fighting these so-called revolutionaries in dense jungles and inhospitable terrains. Therefore, given the ominous implications of the verdict coming out of the Bengal courts, two counter-measures are need of the hour. One, the central government must knock at the doors of the Supreme Court without any further delay to challenge the verdict. Secondly, the present West Bengal government under the leadership of Mamata Banerjee must abolish the 1992 Act at the earliest, first by bringing an ordinance to that effect and then later getting it endorsed in the state Assembly. Should India work with the United States to stabilise Afghanistan? Could you tell me more about the source of the statistics on civilian casualties caused by militant Maoist groups? I am particularly interested in how these statistics were collected as it’s not clear from your article whether the number you quote includes or excludes civilian casualties caused during encounters between the police/para-military forces and the militant Maoists. Also, I can’t help notice your bias against the class of people you term as ‘Maoist sympathizers’ (in your words “[people] who occupy important positions in the country’s intelligentsia in general and elite universities in particular”). Perhaps some of these people (but by no means all) would prefer to be described as ‘supporters of Indigenous rights and equitable progress’. By substituting one with the other, there is the risk of automatically associating support for indigenous rights over land – a positive ideology – with separatist militantism, a deplorable and highly destructive ideology. The two are not the same and unless this distinction is made and talked about more broadly, any sympathiser, social worker or government employee working with indigenous and tribal groups will not receive the attention they deserve for the great work they do in eliminating the root of militant Maoist negativity: helping to improve the lives of our most neglected of citizens. However, overall, I thought this was a great article. I particularly liked your critical method and it has inspired me to read more about the history of Maoist militantism and about the specifics of the case in question.